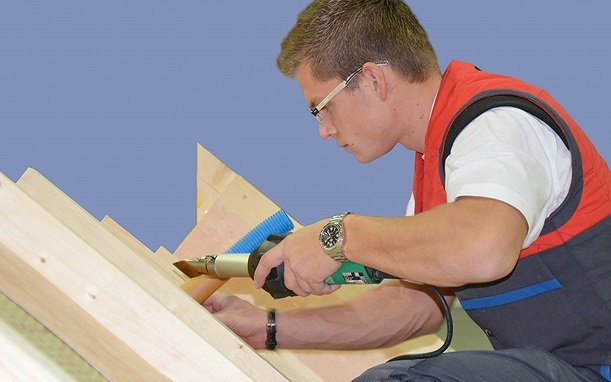 Leister offers an ergonomic and reliable solution for welding all plastic geomembranes on pitched roofs. The small and flexible hot-air welding machines from Leister make the processing of sheets more economical. The lightweight TRIAC DRIVE AT proves its worth even on the steepest of pitched roofs. The larger UNIROOF AT and UNIROOF ST manage pitches of up to 30° with no problem at all. 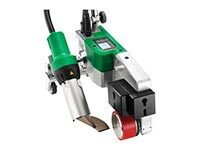 The COMET hot-wedge welding machine for sub-roof membranes has been specially developed for prefabrication purposes – using it makes subsequent work on the roof easier to do. Leister's ergonomically balanced hand welding tools ensure that work carried out in locations that are difficult to access and around awkward details remains a pleasure and does not become tiring. 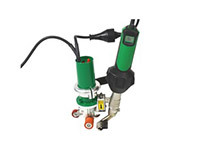 Simple and economical welding of sub-roof membranes with Leister's lightweight hot-air welding machines. 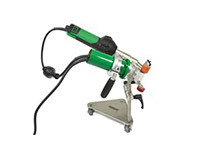 A wide range of hand welding tools and matching accessories are available for working on details and in inaccessible locations. The new UNIROOF ST roof welder combines closed-loop and open-loop and solves every problem close to the edge in a service-friendly way. 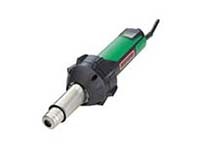 The TRIAC DRIVE AT with welding guide, inside nozzle or outside nozzle, the unit is suitable for all roofing and tunneling applications and other areas of use.